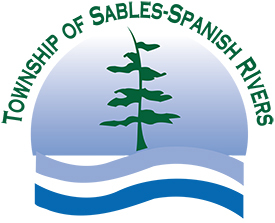 The Township of Sables-Spanish Rivers joins Book King this month with plans to streamline bookings in their Massey Arena, Hall and Outdoor Green spaces. The use of the Scheduling Module will allow for organized, no-conflict bookings in their spaces to maximize usage from various community groups and organizations. Remote training is underway already to get a jump start for their users to learn the ins and outs of Book King in our flagship module of facility scheduling. Remote training by a member of Book King’s training team offers small group sessions with a train-a-trainer approach where conference calls and screenshares provide the ability for a hands-on like experience, even from accross the country. Location: Sables-Spanish Rivers is a township in Ontario, Canada, on the north shore ofGeorgian Bay. It is located in the Sudbury District, approximately 70 kilometres west of Sudbury. The township was created in 1998 by amalgamating the former towns of Massey and Webbwood with the township of Spanish River and the unorganized geographic townships of May and Shakespeare, and was named for Massey&#39;s location at the junction of the Spanish and Aux Sables rivers. The Massey District Community Centre and Arena is located in Massey, and plays host to the Massey Predators Minor Hockey Association and the Massey and District Figure Skating Club. The Massey Marathon is held annually using the arena as a centre for registration and award ceremony.